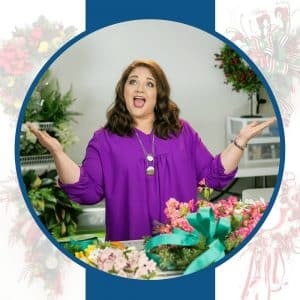 In this video, learn to make a gorgeous spring wreath using an artificial evergreen wreath base for your home or to sell in your Etsy shop. 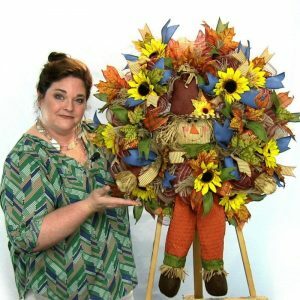 It is a recording of a private Facebook Live video I did for my Wreath Making of the Month Club and was a huge favorite. Learn to add the ribbon to build up the base of the wreath; learn to position and place flowers, greenery and filler; where I purchased the supplies; and how to tie a bow and attach ribbon streamers. 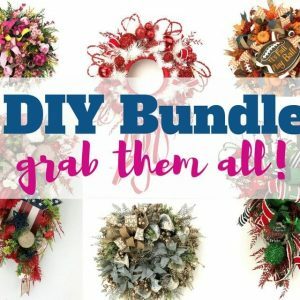 This style wreath is a big seller for my Etsy shop during the year and now you can learn to make one for yourself. 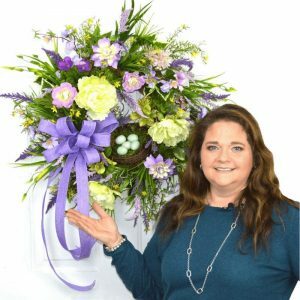 This video is filled with ideas producing a designer wreath with detailed steps to ensure you know exactly what to do. This is a digital video, which means you can be watching it minutes from now! 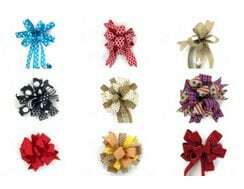 As soon as you purchase, you will be given a private link and password to stream stream the video online. You can stream the video online as often as you need ensuring you don’t lose it if your computer crashes. 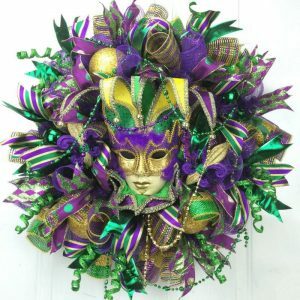 Can you imagine the door envy your neighbors will have when they see this stunning designer Wreath hanging on your door? AND you get to tell them that YOU MADE IT! 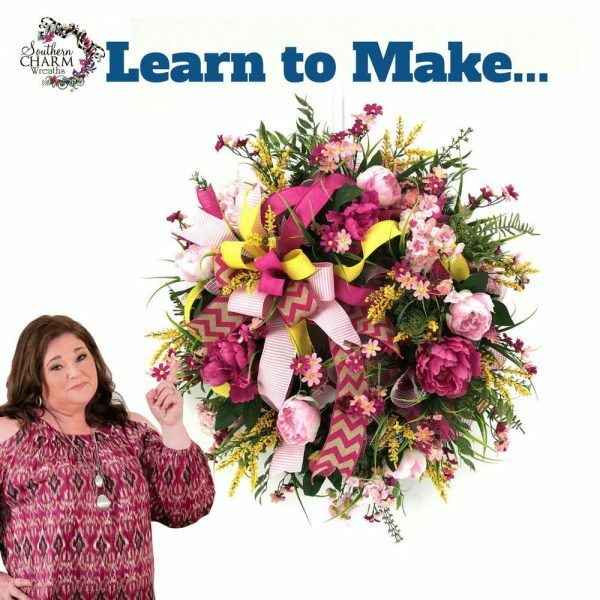 A finished wreath like this would retail for close to $150 in my wreath shop, but you will SAVE MONEY BY MAKING IT YOURSELF! For a very limited time, I am able to sell this detailed, video at this low price. After the sale, the video will be locked away in my video vault.